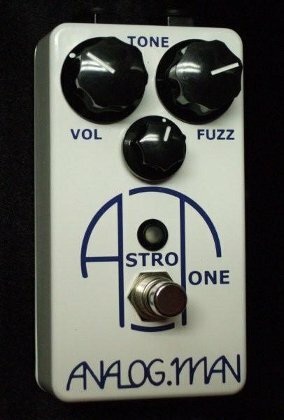 The Analog Man ASTRO TONE fuzz is somewhere between a fuzz and distortion, it acts differently into different amps. But it sounds great into almost anything! I always had trouble using Fuzzfaces live, this one is MUCH easier to use and you can hear it well with a band.